How much interest is there in chariots/ manned torpedoes? A group connected with the Historical Diving Society (HDS, http://www.thehds.com/). has made a replica British Mark1 Chariot and has used it underwater. 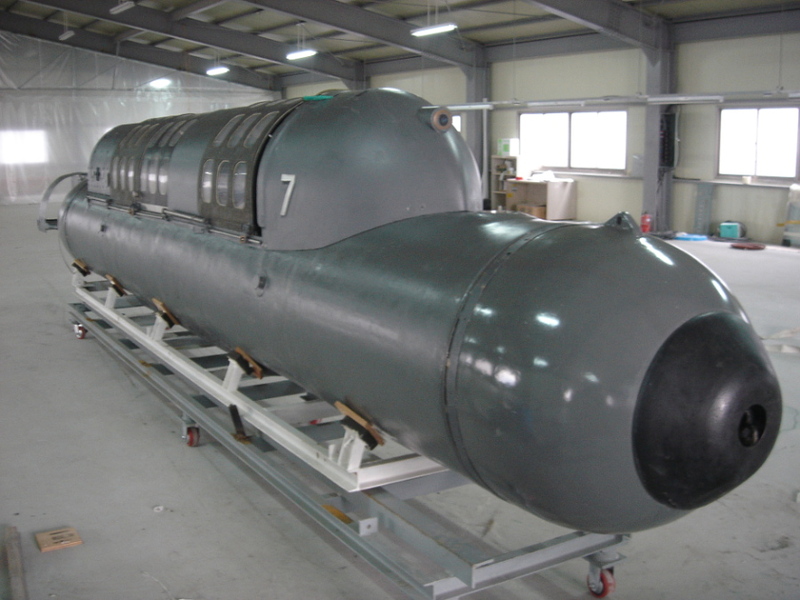 See http://www.hisutton.com/Vogo%20Chariot%20SDVs.html for manned torpedoes made by Vogo. I have made some posable CGI models of manned torpedoes. I scuba dived for many years, until the years stopped me. Hi, fascinating topic I could bore the socks off anyone about. How can I help? In my view, 'chariot' is a generic term for wet subs, originating in British usage but adopted by Italians post-war, and most often referring to a craft with two person is tandem. But it's really not that distinct from wet subs in general. The Covert Shores book (https://www.amazon.com/Covert-Shores-Special-Missions-Minisubs/dp/1533114870) covers it in more detail with many many more types, although there are some I've only git decent info about after I wrote the book. Thanks. I have downloaded the 4 web pages. In Italian, "mignatta" means "leech", and "maiale" means "pig". The maiale's Italian riders called it a pig because it was awkward to steer :: anyone who works on a farm will know how difficult it is to make a large pig go where it does not want to go. The British Mk1 chariot gave its rider the opportunity to "hold infinity in his hands" :: its steering control was not a wheel but infinity-sign-shaped. Herewith a CGI image that I made of a sit-inside chariot in use. the origin of the nickname pig for the SLC is not 100% clear. The Italian frogmen continued using 'maiale' after the war, even for much different craft like tipo-C and BIR-58. And that carried over to some units they equipped and/or trained, eg. Israeli Sh-13. Meanwhile the main Italian postwar manufacturer, Cos.Mo.S (who never supplied the Italian navy) gradually adopted the British term Chariot. And also 'X-Craft' for their midget subs. Only in mid 1960s did SDV (Swimmer Delicery Vehicle) come into use in US and UK. > even for much different craft like tipo-C and BIR-58. And that carried over to some units they equipped and/or trained, eg. Israeli Sh-13. That happens in the history of languages and word usage :: here, the nickname stuck with the type of vehicle. The Vogo chariot does not seem to have much width of eyesight view through its windows for its pilot. How does he avoid bumping into things? Short-range side-and-forward-scan sonar, or how? Likely the need for this query depends on the underwater visibility. My more recent dives were in the Red Sea, where underwater visibility is spectacular. But my earlier dives were in British water, where I did not say that the visibility was bad unless I could not see my own fins. And assault frogman operations seem to have been usually at night, when people cannot see without artificial light. I read that, in later parts of WWII, chariots were used to patrol about underwater looking for and removing mines and bombs. And for that, good underwater eye visibility from inside the chariot is needed :: back then, the chariots were open and roofless. Another consideration, likely, is that if the chariot must operate in very low-visibility polluted water, if eye visibility is down to a few inches (as I have heard of), the same low-visibility water gets inside the chariot, and the pilot cannot see his navigational instruments. I suppose that instruments could be designed to be read by feel :: but the pilot's fingers in cold water may not be very sensitive. Wikipedia says that the first Braille-type reading system was thought of by Napoleon, not for the blind but so that his soldiers could read orders and messages at night without having to make a light that the enemy could see. SDVs operate with zero or near zero visibility, using obstacle avoidance sonar and INS/GPS/etc instruments alone. Modern instrument displays (like the Vogo) are back lit so the canopy, with few or no windows, is to keep the light inside so that they don't get seen because of the instrument light. DPVs without the canopy do run this risk, that their instrument lights will give them away. It was about the 1960s that fully opaque canopies started being used, first by USN. But each designer/unit learnt their own lessons so there are still some with trandparent canopies. One reason is to let ambient light in, that simple. Very rarely to see out except when docking. In slightly older SDVs the pilots/drivers used to use a flashlight and push their goggles right up to the display to read it. There are loads more articles on various SDVs at http://www.hisutton.com/Covert_Shores_Articles.html, just scroll about halfway down.